Usually they've been spotted by this time in April, but they've been a no-show so far – although the weather hadn't been conducive to seeing them, either. But today, according to state officials, may have officially kicked off killer whale season along the central Oregon coast. 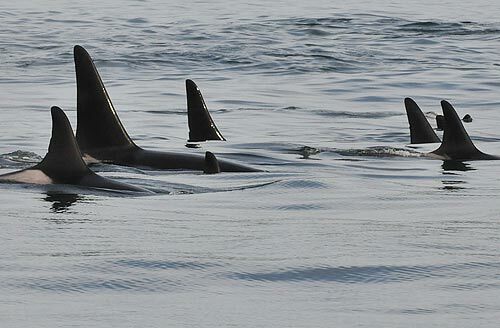 Linda Taylor, with the Whale Watch Center in Depoe Bay, said five Orcas showed up today. 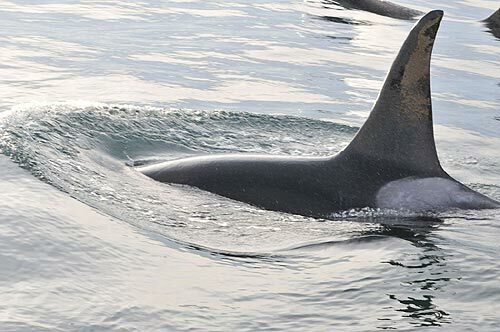 These Orcas are smaller and more shark-like in appearance than what are nicknamed the “friendly” whales, which visit here from the San Juan Islands and live on salmon. They also run in smaller groups than most Killer Whales. That is pretty much what is known about them; they are largely a mystery to whale scientists. Seaside Aquarium took this photo of Orcas in the Florence area around 2005. In the past, there have been some very dramatic reports of these Orcas' activities on the Oregon coast. 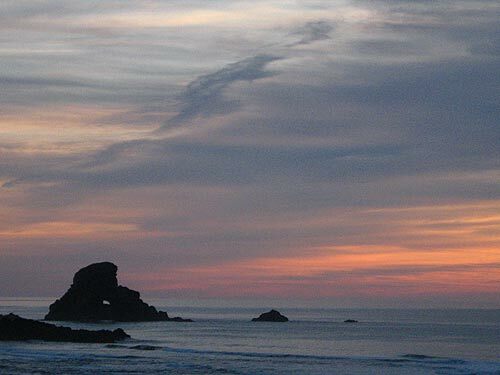 In the last ten years they've been seen up as far as Rockaway Beach where they entered the Nehalem Bay to chomp on a seal, one Killer Whale was spotted chasing a sea lion through Yaquina Bay in Newport, and they were seen marauding around the Heceta Head Lighthouse area near Florence and surprisingly not scaring the local seals and sea lions. The Whale Watch Center in Depoe Bay said they've seen them lingering in that area and occasionally dining on a baby whale. You're generally not going to spot them in north Oregon coast areas like Cannon Beach, Seaside, Manzanita or Oceanside, but they have been known to wander there periodically. Experts say it's difficult to spot them – but not impossible – especially around the central Oregon coast in April and May. Ladd Irvine, with the Hatfield Marine Science Center in Newport, says it’s not possible to seek them out – it’s a matter of luck. Below, high vantage points like this one near Cannon Beach will help you spot a gray whale of a killer whale.